On the 22nd of January 2018, I took Taylor to the doctors after having flu like symptoms. The doctor assessed Taylor and very calmly looked at me and told me to take her straight to Emergency. After dropping our 4 other kids off at my sister’s house, we drove straight to the Geelong Hospital, the whole time Taylor was telling me she was fine and she didn’t think we needed go. We didn’t have to wait long before we were seen by a doctor who diagnosed Taylor with an irregular heart beat. 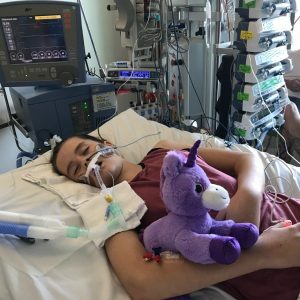 This left me speechless and shocked as I thought they where going to tell me it was the flu and she was dehydrated then send us home – but instead they admitted Taylor to the ICU cardiac ward. 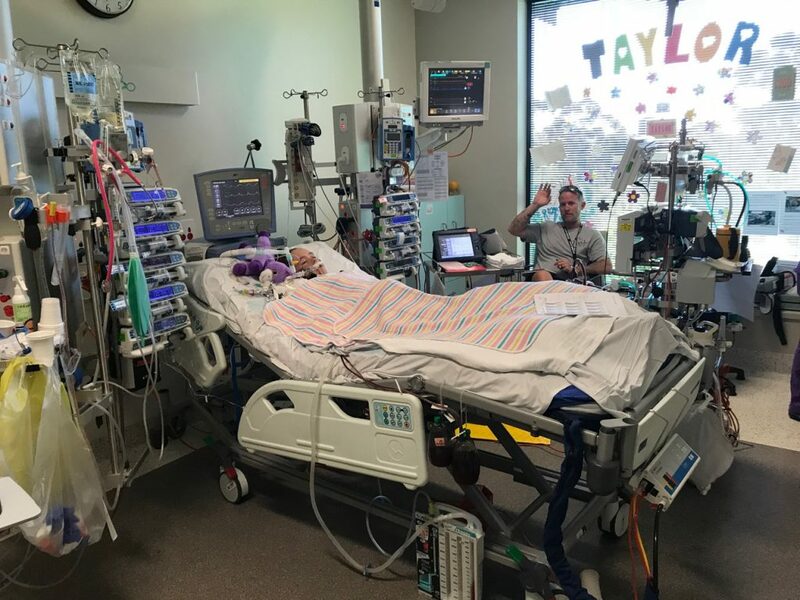 After more testing the doctors decided it was best to send Taylor to Melbourne’s Royal Children’s Hospital. At 8:50pm Taylor was taken from Geelong hospital by Ambulance to the Royal Children’s Hospital. 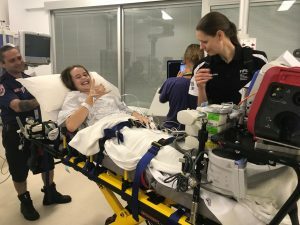 The whole time she was happy, smiling, making jokes, even Snap Chatting her friends and on social media to reassure her friends that she was ok. After arriving at RCH Taylor was placed in the ICU. It was to be a very long night with a lot of invasive testing and we were told that things might get worse before they get better – well wasn’t that an understatement. 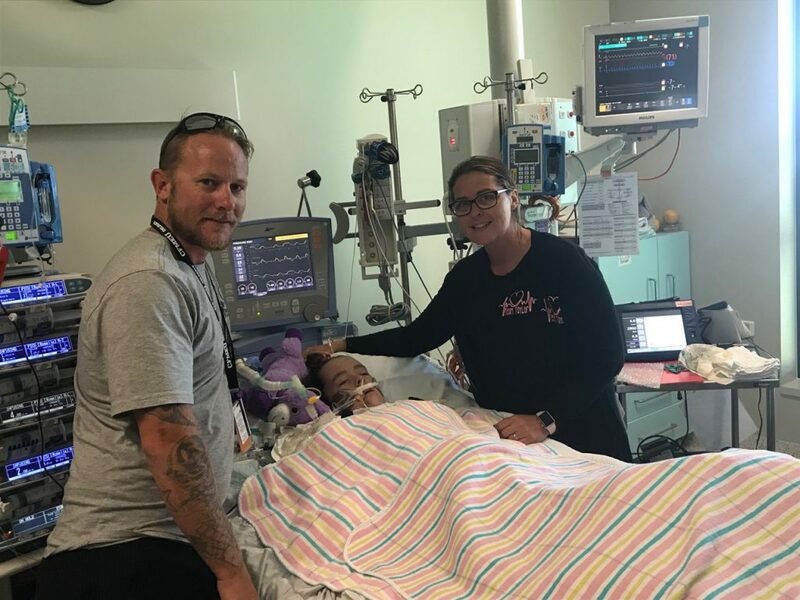 Taylors condition deteriorated very quickly, after only 12 hours of arriving at the RCH Taylor went into cardiac arrest. 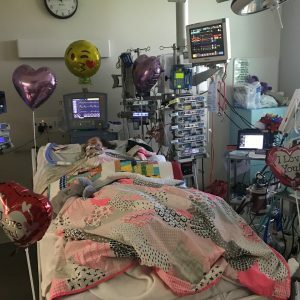 The doctors and nurses worked on her for a little over an hour and were successful but Taylors heart was so damaged that it could no longer work on its own. 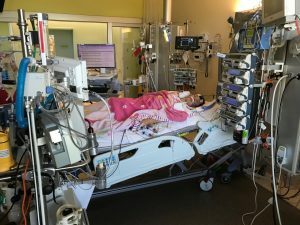 The Doctors placed her on life support and an ecmo machine. (Extracorporeal membrane oxygenation). 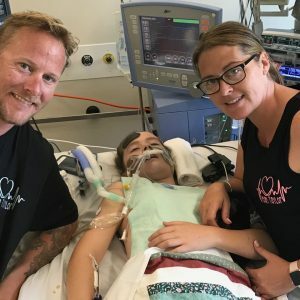 The ecmo machine was going to do all the work that Taylors heart and lungs would normally do (drain the blood from the vein, add the oxygen and remove the carbon dioxide, warm the blood and then return the blood to the artery and “pump” the blood through the body. This method allows the blood to “bypass” the heart and lungs.) which allowed her heart and lungs to rest and recover. We were left with so many questions, completely shocked and heartbroken. 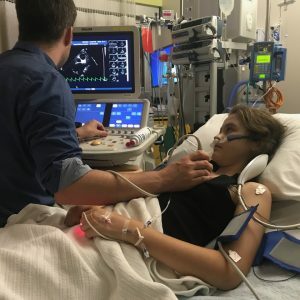 After 3 days of Taylor being on the ecmo machine there had been no improvement to her heart so on the 25th January the cardiologist decided to install a pacemaker in Taylor’s chest to help control her abnormal heart rhythms. 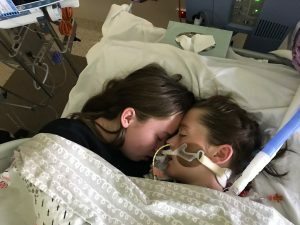 Things were looking good, the doctors even reduced Taylor’s sedation levels, which meant she would wake up every now and then and we could talk to her. She couldn’t talk back to us because of the breathing tube, but she found other ways to communicate to us like blinking and Taylor being Taylor always trying to give us the thumbs up. The doctors saw this as a good sign and were to talking about taking her off the ventilator. Unfortunately this didn’t last long and Taylor’s condition quickly deteriorated, and then her heart stopped beating completely. After the discovery of the Myocarditis and 9 days after being admitted to the RCH, Taylor no longer had a heartbeat. The only thing keeping her alive was the ecmo machine and this was only a temporary solution. 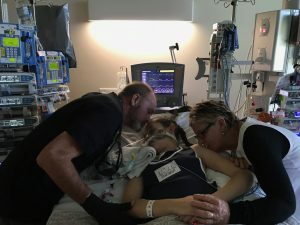 The cardiology team decided to install a VAD (Ventricular Assist Device, also known as mechanical pump) that would help Taylor’s heart to pump blood throughout her body, but it also meant major open heart surgery. On the 2nd of February, Taylor had her first open heart surgery, l say first – because there were two more that would follow. The second one on the 9th February to alter the way the VAD was sitting around her heart; and the 3rd was emergency surgery to drain blood that had built up around her heart on the 12th February. After having 3 major open heart surgeries in 10 days things started to improve, Taylor’s heart started to beat again – it wasn’t a normal heart beat, but it was a heartbeat. The doctors started weening her off some of the medication and her lungs were becoming clearer with every x-ray. Taylor’s heart was only showing slight improvements, so the doctors were worried that that was as good as it was going to get, and stared talking to us about a heart transplant. Therefore she was placed on the heart transplant list. But before Taylor could receive a transplant on the 15th February 2018 at 3:59pm surrounded by her whole family, Taylor sadly passed away. The hardest part was not being able to take away the pain I witnessed my daughter endure. I wanted to desperately trade places with her. Why couldn’t it be me instead of my precious innocent girl! Myocarditis took our healthy, happy amazing daughter away from us at only 13 year old. 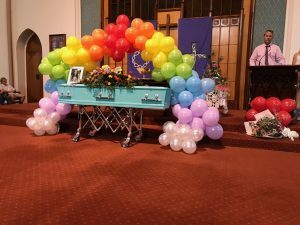 She never got to for live her dreams, she never got to fall in love, get married or to start a family. She had so much to look forward to. Her life was cut short by this disease and our lives will never be the same.